We believe that water is not only a human need, but an essential human right. It is a foundational block from which all other development must build. 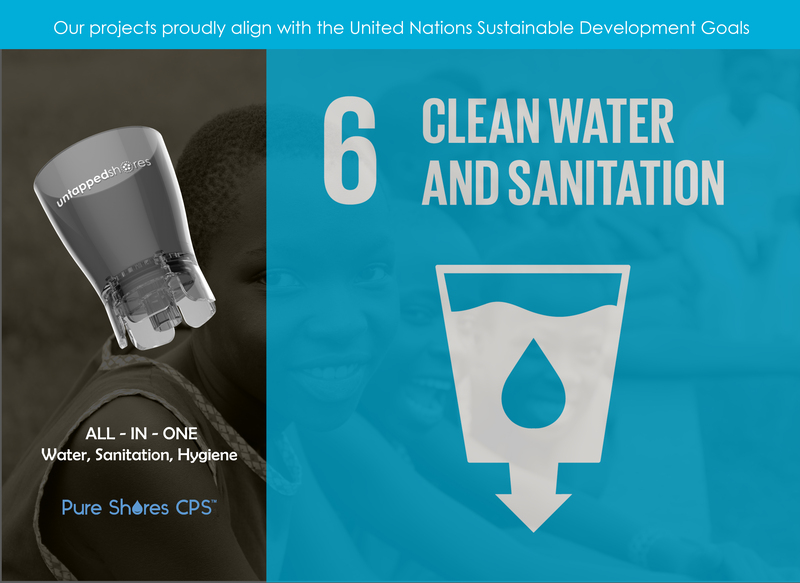 The Pure Shores CPS technology was developed to put the best sustainable solution in the hands of those directly impacted by the water crisis. We reference the motto “Give a hand up, not a hand out” as our approach to sustainable projects. Pure Shores addresses a critical gap in the clean water crisis. The hard-to-reach populations are subject to many significant breakdowns in the supply chain of which they rely upon for safe water. Inconsistency in safe water access exposes a village to contaminated water which can be deadly. Put simply, Pure Shores brings these towns the ability to create their own sodium hypochlorite, the global gold standard for water purification. Our Pure Shores is a low-cost technology capable of large scale impact (providing safe water for up to 2,000 people per day). It is easy enough for a child to operate, in fact, in most of the schools we serve it is the children who run the Pure Shores water programs. The hand-held device enables it to be easily portable and only requires the sun and a little bit of sun to work. The device is modular and can be repaired if necessary using locally accessible parts. It was created to give villages the power to solve their own water crisis and eliminate dependency on donors, forever. If contaminated water is no longer a risk of hurting us, we can now focus our effort on developing our communities.